This July we’ve got a fantastic summer event that the whole family can enjoy! 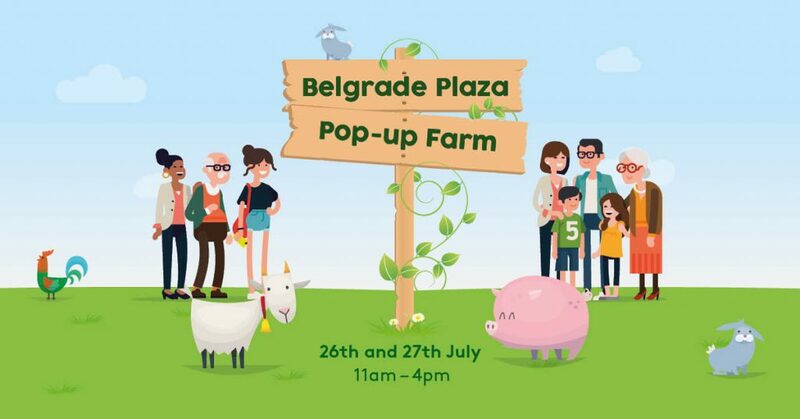 The Belgrade Plaza Mini Farm will be here on 26th and 27th July, where you’ll be able to stroke lambs and rabbits, as well as pygamy goats, pigs, and a llama! There will also be a special appearance from a local balloon artist where children can receive a complimentary balloon animal too! Join us anytime between 11am – 4pm for FREE family fun! Why not make a whole day of it and visit one of our tasty restaurants on site too. With Cafe Rouge, Pizza Express, Bella Italia and Thyme at Premier Inn, there so much choice for a delicious family lunch. Belgrade Plaza is the place to be for entertainment in Coventry this summer.